Budget talks stall over Democrats’ insistence that we cap the number of violent illegals ICE can detain. Senators Richard Shelby (R-Ala.) and Lindsey Graham (R-S.C.) said on Sunday that U.S. budget talks have broken down over the number of beds at immigration detention centers. Shelby said that Democrats want to put a cap on the ICE detainment of criminals. 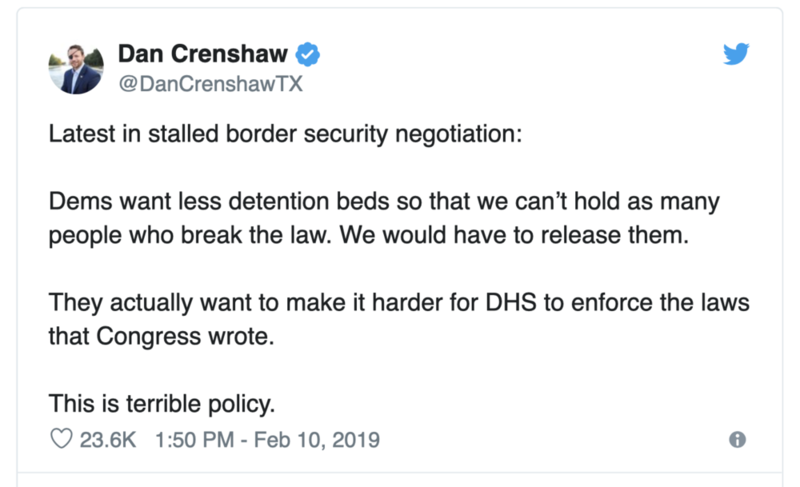 According to Graham, they actually want to reduce the number of beds for violent offenders detained at the border. Congressional negotiators are trying to reach a compromise before Friday, the deadline for an agreement on funding to keep the government open. "I think the talks are stalled right now," Sen. Shelby, the chairman of the Senate Appropriations Committee, told Chris Wallace on "Fox News Sunday." “I'm hoping we can get off the dime later today or in the morning because time is ticking away,” he said. “But we got some problems with the Democrats dealing with ICE that is detaining criminals that come into the U.S."